We can teach any RYA course on a client’s own boat as long as the vessel meets our basic safety requirements. All mooring fees, fuel costs etc. need to be paid by the client. 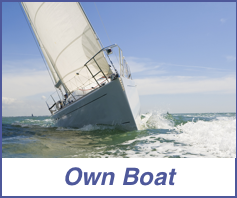 We can also provide coaching or individual skills training on a clients own boat. Price includes Greek VAT at the appropriate rate. Snacks and drinks for the Instructor should be supplied by the boat owner.